June bugs only live for a year, at most. Unfortunately, the problem is that they multiply quickly, capable of infesting your garden and lawn rather quickly. In two weeks, a single, female June bug can lay 60 to 75 eggs! June bugs lay eggs in the fall, and they hatch into larvae. Once spring has arrived, their active greatly increases. 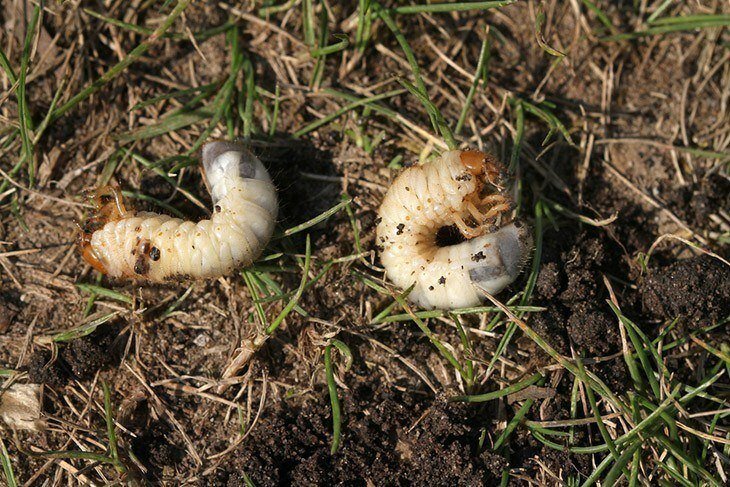 The larvae of the June bug can cause damage to your lawn and turf grass. If you notice large, brown areas in your yard, the offspring could be attracting the roots of your grass. These little devils can destroy whole patches of grass if left alone! Luckily, all of the steps are the same when it comes to getting rid of them, no matter what species you have in your garden. Let’s take a look at a few methods to try. Apply Sevin or insecticide to the affected area. Use milky spore, which is a disease that treats lawn grubs and is environmentally safe. As the larvae die off, milky spores are released into the soil, avoiding further infestations. Neem oil is a botanical pesticide used to repel Japanese beetles. You mix with water and spray it on the area. Because it has insecticide properties, many want to avoid using Neem oil on their vegetable garden, but it works very well on lawn areas. You can apply them to the affected plants in your garden, and it should kill off the adult June bugs. However, many gardeners prefer not to use this method on their vegetable garden for obvious reasons. Sevin is full of chemicals that could leech into the food, and Neem oil contains insecticidal properties. If organic gardening is a priority for you, you need to move onto a different choice. If you want organic methods, a popular choice is to make a June bug trap using either a jar or bucket. You might have used a similar way to get rid of fruit flies or stink bugs as they invade your house. At the bottom of the bucket, place an inch or two of vegetable oil. The bugs are unable to escape once they fall into the oil, eventually drowning them. At the top of the container, you need to place a white light that will attract them to your trap. If you are someone who is afraid of these reptiles, you may want to steer clear of this step. 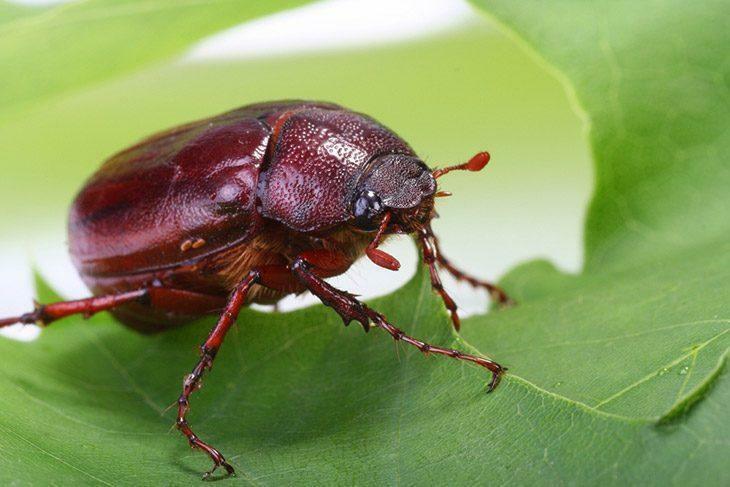 However, these animals can naturally take care of the June bug population that is overrunning your garden. To ﻿﻿get toads and frogs to come to your garden, you will need some water source. A small pond or even a birdbath with water could work! They also like large-leaved perennials as a shady, hiding place. 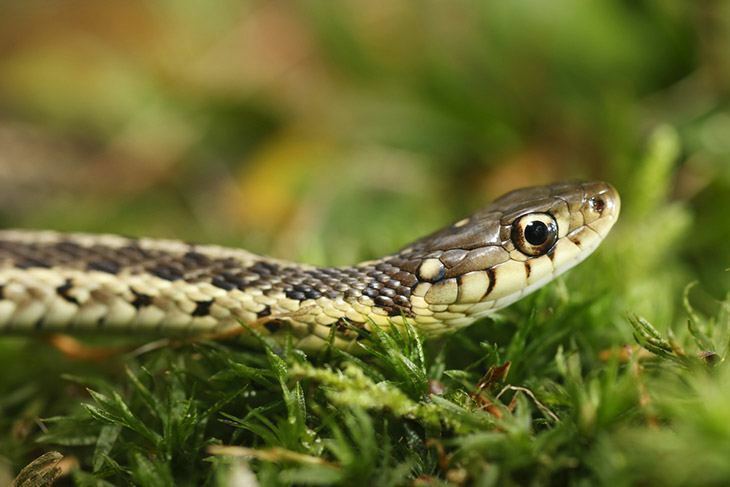 ​You might squirm at the idea of attracting snakes to your garden, but they are handy and useful. The best way to get them to come to your garden is by giving them ample places to hide. They need shelters, such as an old stump or an older piece of plywood laying around. Snakes also benefit from water sources, so leave a ground level birdbath out. Remember to walk around your garden before you decide to mow. Otherwise, you might kill your new snake friend. 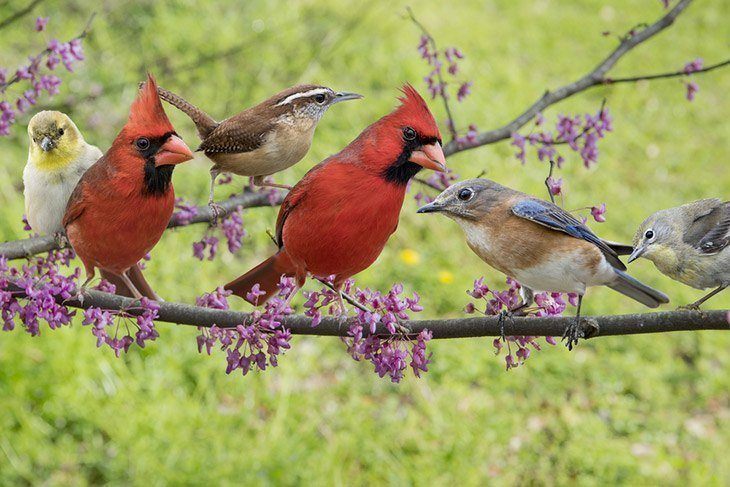 Another natural adversary to June Bugs is Robins and songbirds. They are happy to nest in planters or other areas, so try to provide bird houses throughout your yard and garden. Of course, you could also provide food for the birds. That is always a surefire way to get birds to visit. Plus, songbirds are lovely to watch. 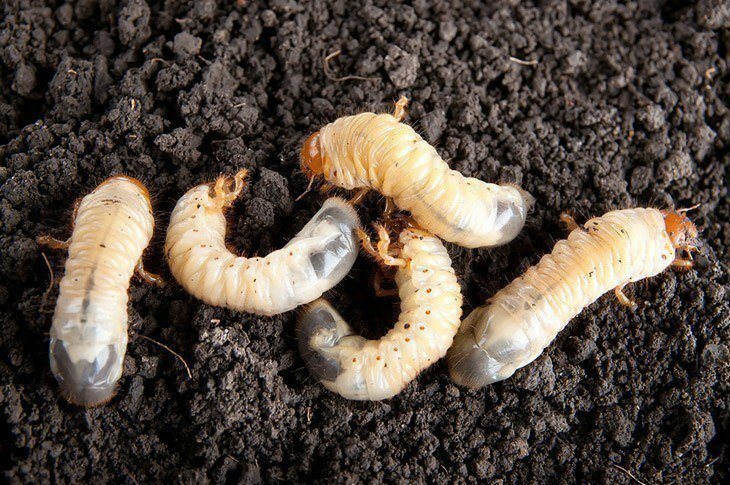 Nematodes are grub parasites that live inside of the bodies of the June bug larvae. You will have to wait until they have laid their eggs before you can use this method. Most gardening stores sell nematodes for gardeners to purchase. They come with simple, easy to follow instructions on how to apply them to the garden. It just involves mixing water and spraying the area where you suspect the larvae is. ​Dealing with pests is something you, as a gardener, will face many times throughout the years. Pests destroy the leaves and roots of your plants. June bugs are no different. Their little pinchers eat the leaves. The larvae destroy the roots of your grass. It is no wonder that gardeners dread seeing these little beetles in their ﻿﻿garden. Lucky for you, there are a few methods to try. 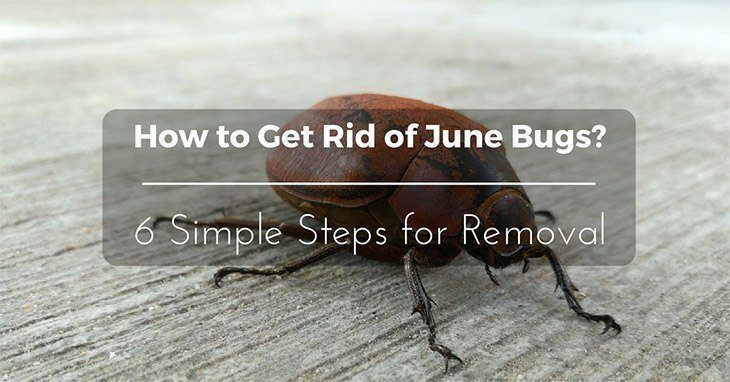 If you are comfortable with insecticides, getting rid of June bugs is easy. Organic, natural methods will take more effort, but well worth the effort.